The Cuvée Rosé Alexia lives up to all you expect form a noble and prestigious wine. A perfect effervescence or fragrances instantly develops in the mouth. Hints of strawberries and raspberries, of fudge and Tarte Tatin. 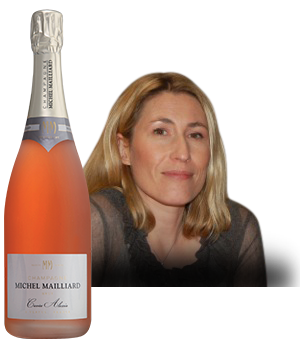 This Cuvée is an ideal aperitif but works well with desserts and dishes such as salmon with lemon. Blended: 90 % of Chardonnay - 10 % of Pinot Noir.